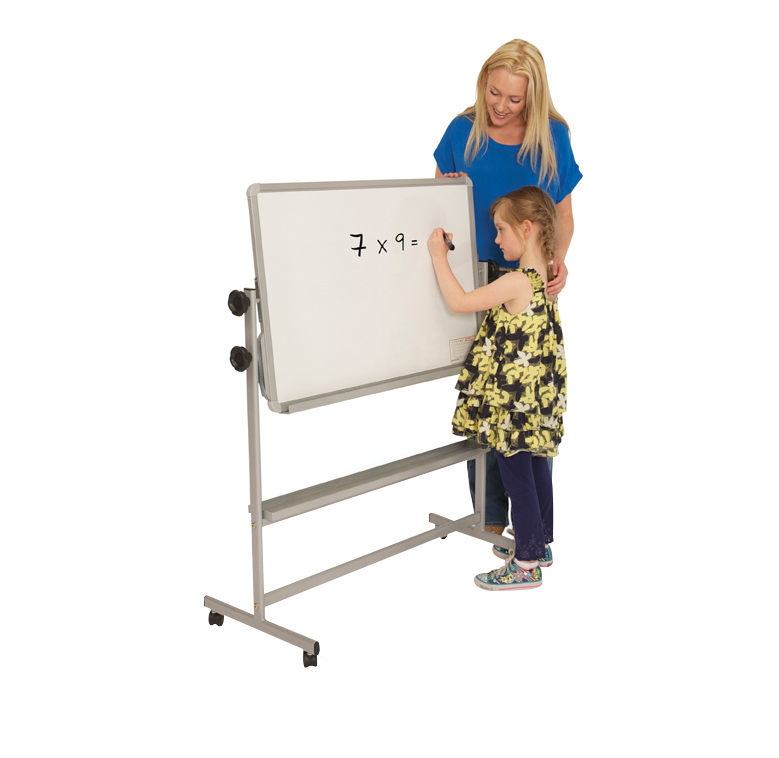 A junior whiteboard suitable for use by children in schools and nurseries. 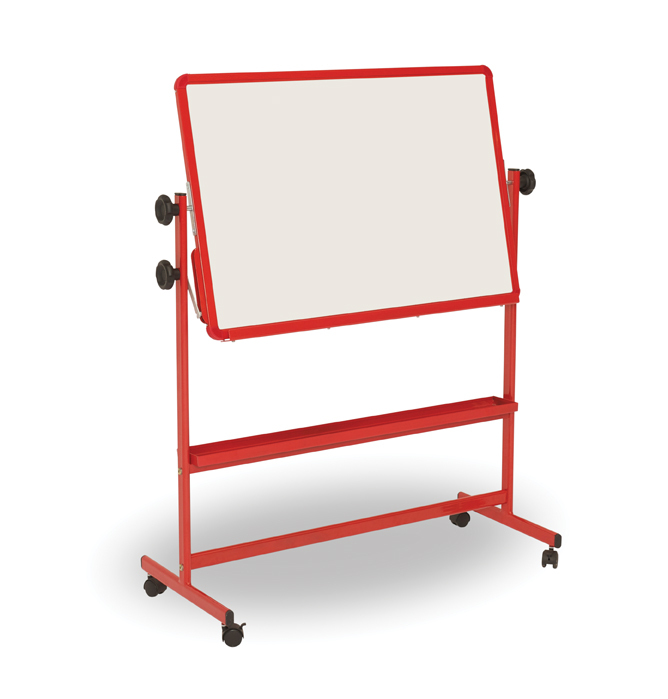 The double sided whiteboard rotates and can be locked in any position. The whiteboard panel is 900mm wide and 600mm high and you can choose a magnetic or non-magnetic surface. The powder-coated steel frame is available in grey or red. This whiteboard has 4 lockable castors so can be moved easily and locked once in the right location.